Meanwhile, in 1985 at the age of 20 I had my first exhibition of my work in a Wellington Cafe. 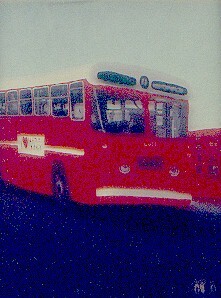 The exhibition was called Bus, and were all approximately four feet square acrylic paintings of Wellington red buses. 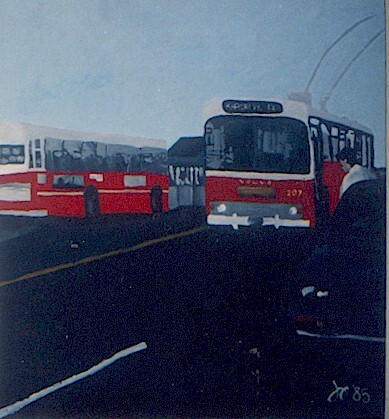 These paintings were all called Bus 1, 2, 3, 4, 5, 6, 7 and 8. The work was painted on calico and has probably not stood the test of time. Please excuse the poor quality of images, which were taken from transparencies.